Sorry, this job expired on Apr 7, 2019. Below are other jobs that may be of interest to you. - Warmly and graciously greet all guests upon arrival. - Check coats and/or bags. - Answer phones, make reservations and take messages. - When immediate seating is limited, records guest names and number of people in party. Provide guests with estimated waiting time. - Take note of where guests are waiting and seat them when tables become available. - Maintain a professional, courteous attitude when confronted with hostile, impatient or irate guests. - Accommodate special seating requests for guests whenever possible. Seat guests based on guest preferences and balancing of customer flow in service stations. - Relay guest notes to servers, kitchen and managers as needed. - Maintain supplies at the host stand. -Thank guests as they leave and invite them to return. Relay guest comments or suggestions to the manager on duty. - Send and receive mail and packages. 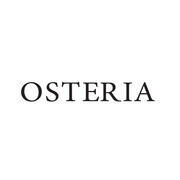 Less than a year after conception, February 15, 2007, Osteria opened its doors to the public, and, still in its infancy continues to stay true to the dream that three owners had standing on Ca’ Marcanda vineyards in Tuscany. A traditional Italian Osteria, where you can choose from our homemade pastas, thin crust pizzas, or wood grilled meats and fish. As much as Vetri is small and intimate, with a rustic farmhouse feel, Osteria is classically designed to have a warm, evocative feel in an industrial setting. With wine-red-stained concrete floors, antique Berkel slicers, a gleaming vintage Faema coffee machine, solid antique pine country tables, a wall of beautifully stained wine boxes and view of a “vecchia chiesa” so spectacular that it rivals any this side of the Atlantic. Additionally, the menu changes seasonally, to go with our 100 bottle Italian wine list featuring grapes from Trentino to Sicily and all stops in between.